Debit & Credit 2.1.1 – Personal finance manager. Next story FastCut 3.2.3 – Advanced video editor with integrated screen recorder. Previous story TotalFinder 1.8.2 – Adds tabs, hotkeys, and other tweaks to the Finder. iFinance 4.3.2 – Comprehensively manage your personal finances. Money Pro 1.8.4 – Manage money like a pro. 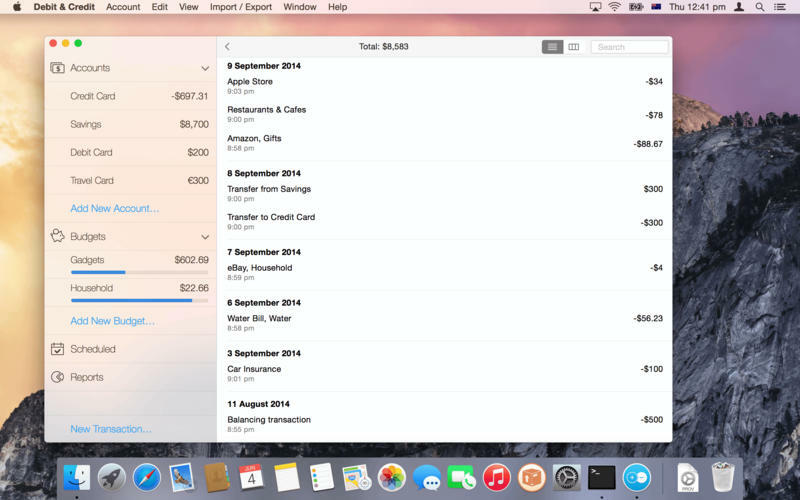 Quicken 2015 2.0.3 – Complete personal finance solution.